Vibra-Tite epoxies can be used in a wide range of applications and exhibit strong bonding characteristics. PS014 Epoxy Putty Stick is an epoxy dough like kit which is activated by hand mixing the material. It cures in 5 minutes and hardens like steel in 20 minutes. It forms a tenacious bond in minutes, even underwater, and may be drilled, filled, tapped, or sanded after 1 hour. PS024 Epoxy Putty Stick is an epoxy dough like kit which is activated by hand mixing the material. It cures in 5 minutes and hardens like steel in 20 minutes. It forms a tenacious bond in minutes, even underwater, and may be drilled, filled, tapped, or sanded after 1 hour. Vibra-Tite 905 is a fast setting adhesive that cures at temperatures as low as 41°F/5°C. For bonding and repairing small parts. A 2-part system forms a strong bond when cured. 4-6 minutes of positioning time and can be handled in 1 hour. 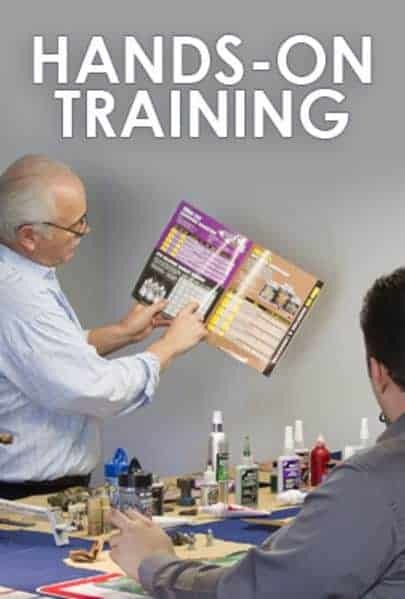 Formulated as a gel, which makes it idea for both vertical and horizontal surfaces. Green color is the combination of blue resin and yellow hardener. Once correctly mixed they will combine to a green color. This two component epoxy cures at room temperature to form a flexible grey adhesive that provides good adhesive strength for bonding many types or decorative materials to a substrate to form a composite panel. The 1:1 mix ratio and medium viscosity make this epoxy ideal for application to large panels using a roll coater. Vibra-Tite 920 is a medium viscosity, industrial grade epoxy adhesive with extended work life. This system forms a good adhesion to thermoplastics with high peel and shear strength. It will cure rapidly with heat to produce a material with excellent chemical, heat, and moisture resistance. Vibra-Tite 921 is a medium viscosity, industrial grade epoxy adhesive with extended work life. This system forms a good adhesion to thermoplastics with high peel and shear strength. It will cure rapidly with heat to produce a material with excellent chemical, heat, and moisture resistance. Vibra-Tite 923 is a toughened, medium viscosity, industrial grade epoxy adhesive. Once mixed, the two component epoxy cures at room temperature to form a tough, off-white, bond line that provides high adhesive strength. Vibra-Tite® 939 is a clear two component epoxy paste with a relatively long pot life. This formula will bond to a variety of substrates. A toughened, medium viscosity, industrial grade epoxy adhesive. Once mixed, the two component epoxy cures at room temperature to form a tough, off-white, bond line that provides high adhesive strength. 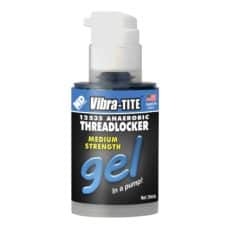 Vibra-Tite 932 is two-part epoxy encapsulant and adhesive. This system forms a resilient, long work time potting and encapsulant material with an easy mix ratio and good adhesion to thermoplastics. It will cure rapidly with heat to produce a material with excellent chemical, heat, and moisture resistance. Vibra-Tite 933 is a long working life, heat curing, and two component formulation. It was designed especially for potting high voltage coils. The combination of low viscosity, excellent high temperature electrical properties and good thermal shock resistance makes this epoxy ideal for this application. Vibra-Tite 934 is a single-part induction cured epoxy adhesive with excellent adhesion to metal oily surfaces as well as composite materials. Can be used to enhance joint stiffness and joint durability. The high bond strength of this adhesive allows it to replace mechanical fasteners, soldering, brazing, or welding. Requires heat in the range of 120°C to 200°C. Vibra-Tite 934 is non-sagging allowing use with large gaps and on vertical surfaces. Vibra-Tite 935 is a low-viscosity general purpose potting compound that is designed to form a resilient, long work time potting compound with good surface finish and bond strength to thermoplastics. Vibra- Tite 990 is a high viscosity, industrial grade epoxy adhesive with extended work life. This system forms a resilient, long work time adhesive with an easy mix ratio and good adhesion to thermoplastics. It will cure rapidly with heat to produce a material with excellent chemical, heat, and moisture resistance.